Make your storefront stand out from the competition by using one of the free templates provided to you by eBay Stores. We have partnered with professional designers to create attractive online storefronts that will help you build your own brand. Try one out today! 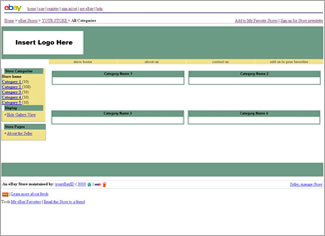 1. Review the template screenshots. 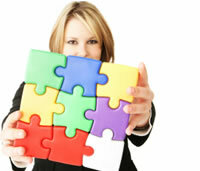 Choose the one that best complements your Store brand. 2. Download template you have selected by saving the zip file to your desktop. 3. Follow the simple instructions on the screen or open the Installation HTML file for detailed instructions. 4. 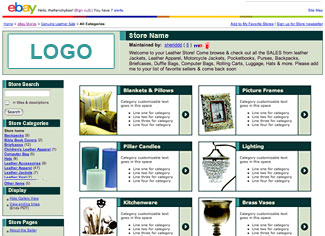 Log in to Manage My Store to implement the HTML code for your new Custom Page. Adjust you security settings as follows Tools > Internet Options > Security > Restricted > Custom Level > Enable "Scripting - Active scripting". Click on the light yellow bar that prompted the security warning and select "Allow blocked content".